It’s harder than just pointing a rifle at a target, and then firing. 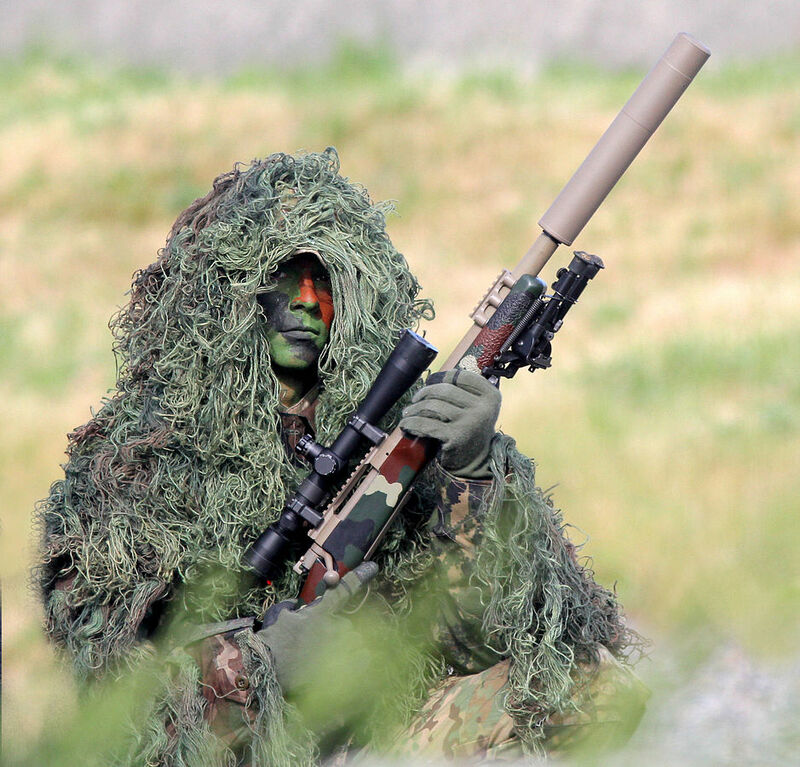 Snipers take into account, wind, the curvature of the earth, elevation of the sniper, and other environmental factors. 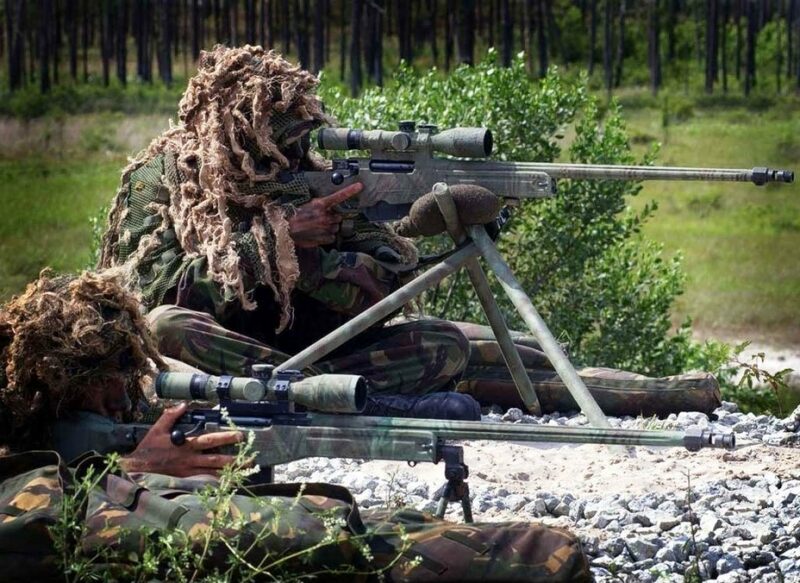 The spotter is also important, sniping is a two man operation, with the spotter doing the bulk of the work. Sniper shots can spread fear throughout the ranks of your enemies, or your allies. They’re the most deadly soldiers on the battlefield. Sometimes a single sniper can take out as many people as an entire regiment. 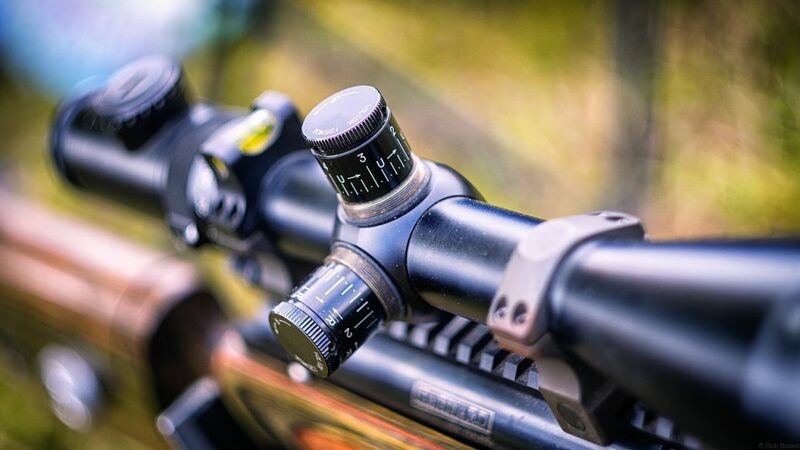 This is a list of 10 sniper shots you won’t believe. A dangerous man holding a gun in the of the middle street, was too much for ordinary police too handle, so they had to bring in veteran sharp shooter Mike Plum. So what made this man so dangerous? He was sitting on a lawn chair in the middle of the street, holding a revolver to his head. If police tried to get close, he only got angrier; they couldn’t approach at all. Mike Plum lined up his shot, and waited for his target to drop his gun away from his head for a moment. This way, if he misses, it’ll only injure his leg, or other less important body parts. A few moments later, the gun flies out of his hand, and the police swarm him. They knock him to the ground, and arrest him, he pokes his head up and says “good shot”. A British soldier killed six Taliban with only one bullet from more than half a mile away. The bullet hit the bomb, attached to his vest, this caused him to explode and take five of his friends with him. 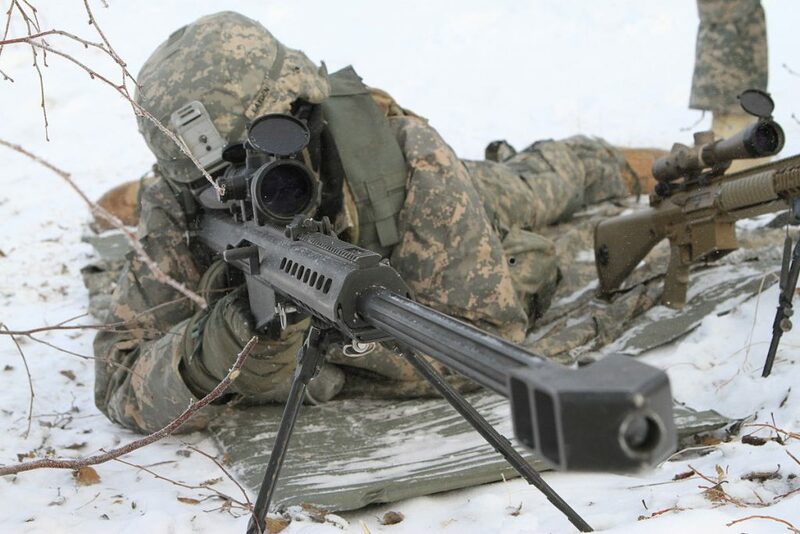 The sniper spotted him coming over a hill, and saw he had a machine gun, and was covering his face. It’s been hailed as one of the greatest sniper shots in history, and there aren’t many shots in history that can compare. The men he killed were planning a major terrorist incident, this one bullet stopped their plans it its tracks. Sniper Matt Hughes had to shoot a target so out of range it should have been impossible for him to hit with the rifle he was using. While trying to shoot a target hidden behind cover, with nothing but his head and shoulder sticking out, the wind was blowing so strong, that if he tried to aim at him, the bullet would fly 50 feet the other way. 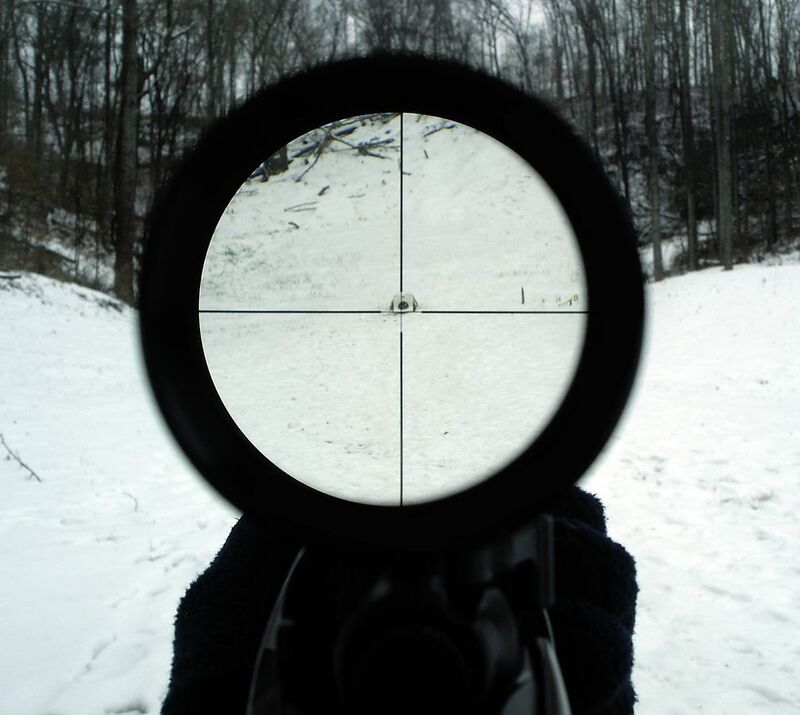 Hughes solution was to aim the rifle 50 feet away from the target, and hope the wind carries it to its target. In what must have been the hardest shot to make in human history, the bullet hit, and killed its target. Steve Reichert is a soldier who became famous because of the amazing shot he pulled off in Afghanistan. He was a mile away when he fired, and was in the middle of a fire fight. Three of his targets ran behind a brick wall, a mile away. The three of them were planning to flank Reichert’s team mates. Even not being to see the target, he managed to shoot through it and hit all three of them, with a mix of bullets and shrapnel. 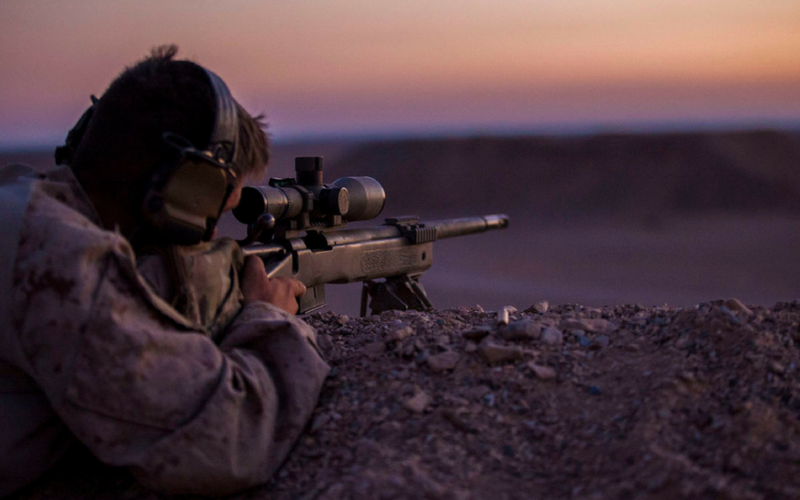 It’s become one of the most talked about sniper shots in history. The bullet travelled at 25,000 feet per second. He received the bronze star for valor. The famous story of Captain Phillips involved one of the most amazing sniper shots you’ll ever read about. While Phillips was standing with a gun to his back, on a ship that had been captured by Somali pirates, he awaited the arrival, of the Navy Seals. Parachuting down, the seals took position, and began searching for the pirates through their scopes. Three seals, spotted the three pirates, and all at the same time, they fired. The Somali pirates simultaneously died, and Phillips was saved. This shot was especially difficult due to heavy waves, rocking the boat. 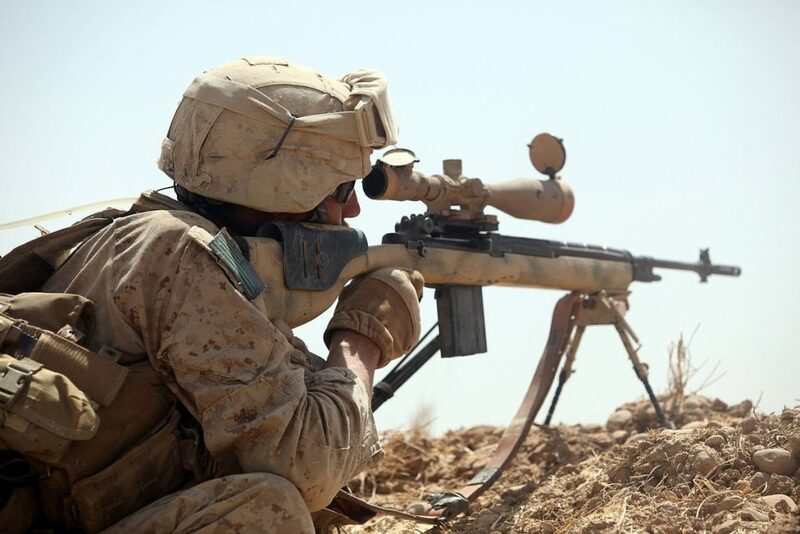 Harris shot two Taliban from a distance of 8120 ft. At the time it was the longest recorded sniper shot in history. 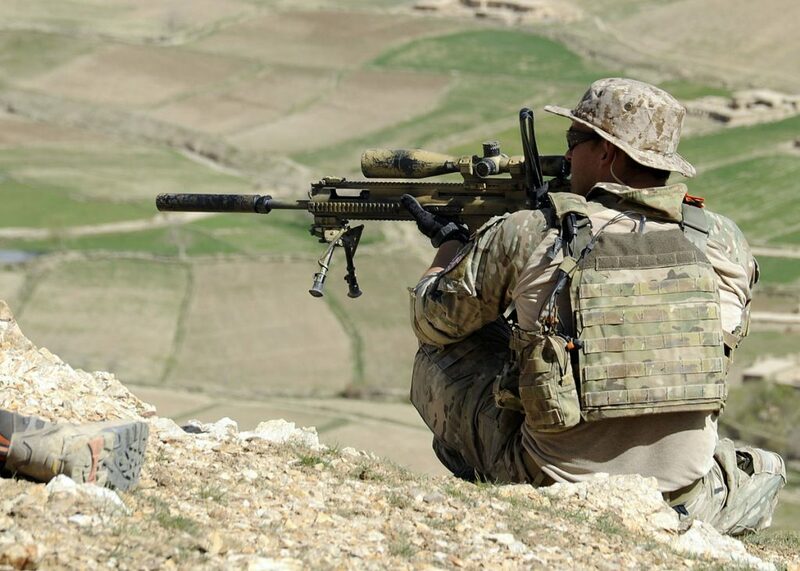 He shot two bullets from this distance, killing two Taliban. 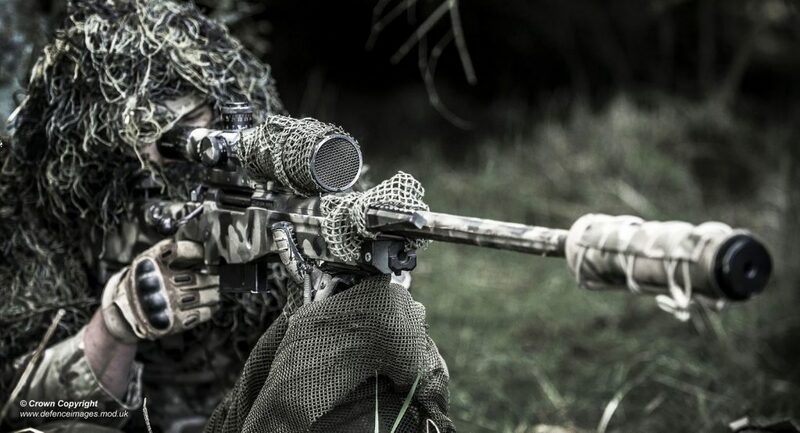 Harris became one of the most famous snipers in the UK. It was the perfect environment for such a long range shot, with very little wind. Harris took advantage of this to make his shot. Harris left military life after, his identity was revealed, putting his life in serious danger. He was paid £100,000 as compensation for this. The bullet leaves the gun at three times the speed of sound, and took only 2.5 seconds to travel the enormous distance. An SAS soldier shot at and hit a jihadi from a mile and a half away. He killed him in Mosul, Iraq. After several of his friends had already been shot by an enemy sniper, he managed to find the sniper responsible. He lined up his shot, and fired, the bullet travelled through 1.5 miles of air, in only three seconds, and lodged itself into the throat of the jihadi. He shot him with the most powerful rifle in the world, and it only took one shot. The jihadi had been moving at a fast pace, ducking behind cover. If the SAS soldier missed, it would reveal his position, and might have made shooting the sniper an impossibility. He had one opportunity to kill, when the jihadi ran into an area there wasn’t enough cover, he was shot dead. 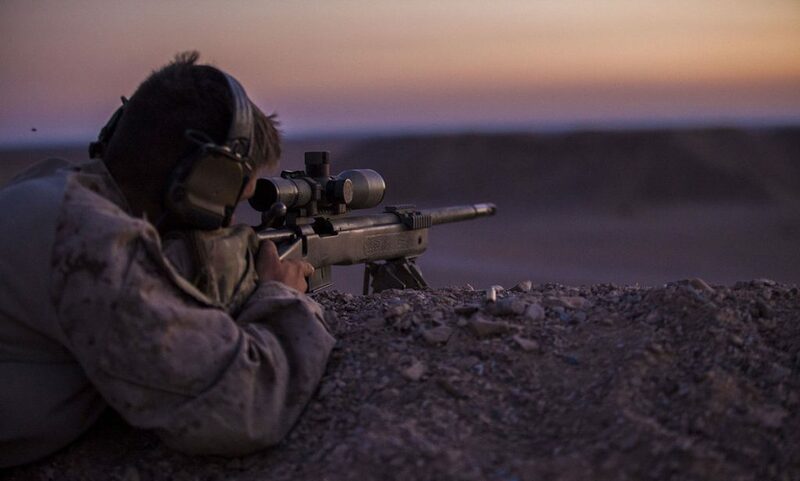 A Canadian sniper successfully killed an ISIS fighter from over 2 miles away. It’s the longest shot in human history, no one has ever shot further than that before, and actually killed someone. A shot like this takes not only a powerful rifle, but also an immense skill, and patience as well. To be able to take the wind and all the other environmental factors into account for a two mile shot is insanely hard. Soldiers don’t even train to fire at such a long distance, because the shot is so hard to make. The bullet took about 10 seconds to reach the target. Furlong pulled off the third longest shot in history. A Taliban soldier was sneaking up a mountain, hoping to try and ambush some of Furlong’s fellow soldiers. The machine gun wielding Talibun, was 2,430 metres away, it was likely he would be able to hit him at such a distance. Yet he was able to pull the shot off and became a famous sniper because of it. He used the MacMillan TAC-50. 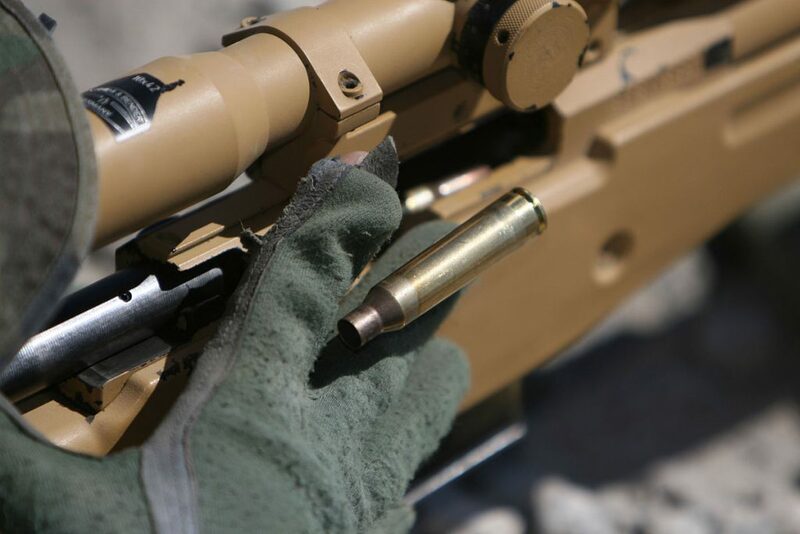 It’s bullets travel at 27,000 feet per second. What happens when you try to hunt down the greatest sniper in the world, a man with a $30,00 (which was a lot back then) bounty on his head? A Vietnamese sniper decided to try and find out. While crawling on his stomach through the mud, and vines of a Vietnamese jungle, Hatchcock spotted a strange glint of light from a distance. It was likely a sniper trying to score his bounty, he aimed at the glint, in one of the greatest sniper shots in the history of sniper shots, he fired straight through the barrel of the enemy gun and shot him in the eye. For this to be possible the sniper must have had his rifle pointing at Hathcock, which means if he was a second too late, it would have been the other way around.